Are you having any hardware or software problems with your Asus ZenBook notebook? Creative IT is a professional Asus laptop repair service centre in Central London offering quick turnaround and affordable Asus ZenBook laptop repair and upgrade services for all Asus ZenBook notebook series including ZenBook Classic, Zenbook Deluxe, ZenBook Flip and ZenBook Pro series. 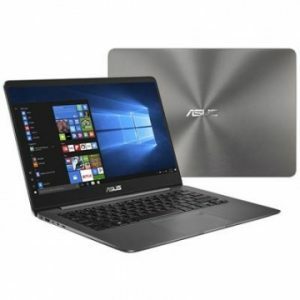 At Creative IT London, our qualified and experienced team of ASUS ZenBook laptop repair technicians and engineers are equipped to handle any hardware or software related issue with your notebook computer. Our primary aim is to offer timely and professional laptop repair and upgrade services to our clients. The common laptop problems we can troubleshoot and fix for all Asus ZenBook notebook models include Asus ZenBook laptop computer doesn’t turn on, notebook computer will not boot to windows, blue screen errors, laptop battery not charging, ZenBook is running so slow, Asus ZenBook broken screen, audio problems, laptop power supply is faulty, touchpad does not function properly, Asus laptop freezes up randomly, broken hinges of laptop screen, keys on ASUS notebook are not working, Asus ZenBook laptop keeps restarting unexpectedly, hard drive is full, motherboard failure, no image (blank) after you start up, Asus ZenBook overheating issues, Wifi connection issues, abnormal noises from notebook hard disk or water / coffee or any other liquid spills on your laptop. For London Asus ZenBook laptop repair and upgrade services completed to the highest standards at cost efficient rates, give us a call today on 020 7237 6805 and we will happily assist you.